I was surprised to see this pair of Dodge Challenger projects in my neck of the woods and listed on the Boston-area craigslist pages. 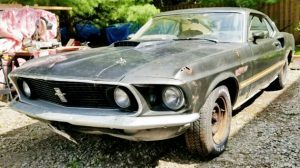 Old muscle car projects rarely come up for grabs, largely due to their vintage sheet metal long having since dissolved back into the earth. This 1970 Dodge Challenger comes with the Rallye package and a 340, and the asking price of $10K includes the roller you see next to it. Find the cars here on craigslist and thanks to Barn Finds reader AMXBrian for the find. 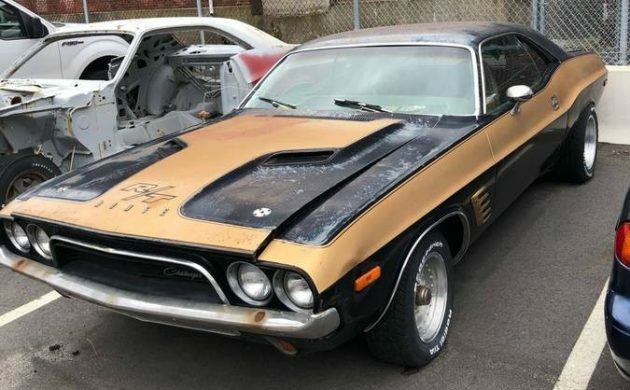 The Challenger also features the desirable manual transmission with pistol grip shifter, so the list of options definitely makes this one worth restoring. 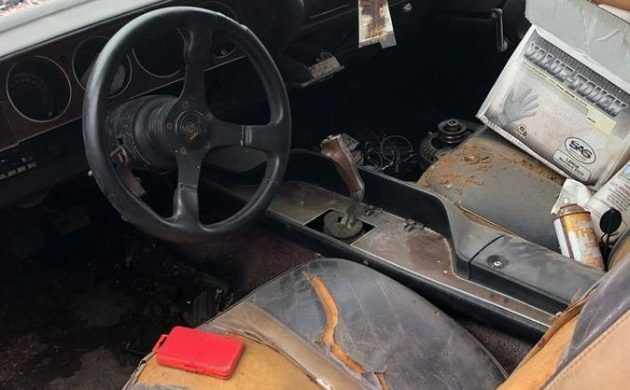 However, the seller simply says “needs total restoration” without explaining whether the car is rotten underneath or just needs to be mechanically rebuilt (or both). 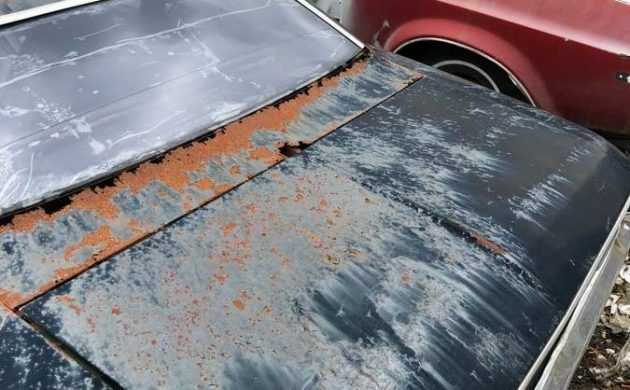 There’s enough visible corrosion on the exterior surfaces to make me think rust underneath could be an issue. The trunk lid itself isn’t particularly porous, but the panel beneath the back glass is very rough. That’s some crappy tint you see on the back windshield, which doesn’t explain why this section has rotten so extensively – but it might simply be due to being parked in the same location for many years. However, when you see the original graphics surviving so nicely, it makes me question that theory as well. Any guesses? 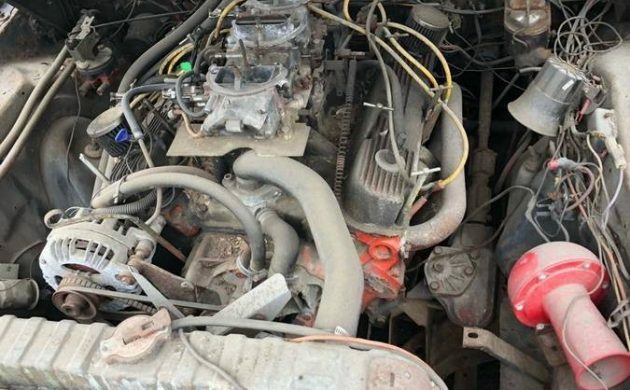 The engine looks relatively complete, but I doubt that it’s a matching unit for the asking price. Still, this seems like a fair offer for two cars that roll and one that’s largely complete. 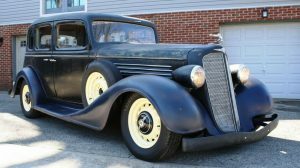 My suspicion is rust is lurking somewhere on the black Rallye package car, which may even explain why a roller in primer is included as part of the deal. 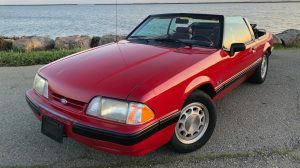 What do you think – is $10K a decent price for two Challenger projects? Call Mark Worman. Throw buckets of money at it. Not a 70 but a hard to find manual steering,four Speed car.All replacement sheet metal is available.Go for it! Fair price for what you see out there. Compaired to most of these that’s cheap. Had a 70 Cuda I sold in 1984, before the explosion of price. Yes, a double resto of 2 Mopars could sell for $20,000 for fair value, and this is half that. The original Challenger/Cudas look cleaner and lower than the high riding body ones today. I agree. I’m so used to seeing newer ones all the time. When I finally see an original like this one in the flesh, it looks so low and small and beautiful. And they used to be considered big for a pony car! Looking at the way the rear end rusted, but not the front, my guess is there is no back glass, that’s plastic sheets, not plexiglass. Trunk is probably gone, rear quarters rotting from the inside. Massachusetts weather cannot have been kind. True, my ’73 Barracuda was pretty much gone to the tin worm by ’83. 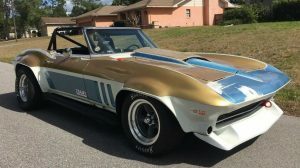 Like the 340 “six pack” set-up with four speed,has some go-fast goodies but I wouldn’t pay anything over the asking price! Looks like a decent project…..
Where have I seen that steering wheel before ? Does look like that motor was built pretty stout…..
thats a giveaway price . if it doesnt work out you could recoup loss selling parts. im going to build a machine where it goes in the rustulater and comes out the medalulater. it will only cost a thousandmillion for the machine. soak that engine in an oil brake fluid mix and watch the cylinders start to looosen. maybe the car just needs a couch and a beer.what would you soak the car in.